No Trades, Anyone Trade GOOG? There was a chance I was going to have to run an errand today, so I didn’t take any trades. I only had a few stocks on my radar today: 7 long candidates and 3 short candidates. 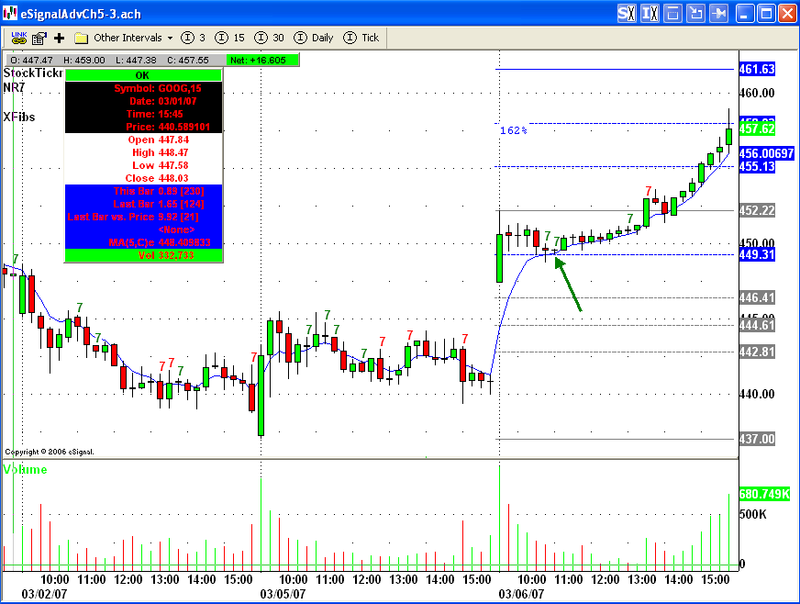 GOOG looked great off the 89% Fibonacci retracement. Hopefully some gap trader out there caught it today. There’s no telling how many Rs you could’ve made with that trade. I would’ve maxed out my buying power with just that single trade today if I’d have taken it. It looks like Ugly Ugly’s Automated Trading System had a great day today. I’d imagine it traded GOOG today. Anyone else trade it today? Posted in General, Trading | Comments Off on No Trades, Anyone Trade GOOG?